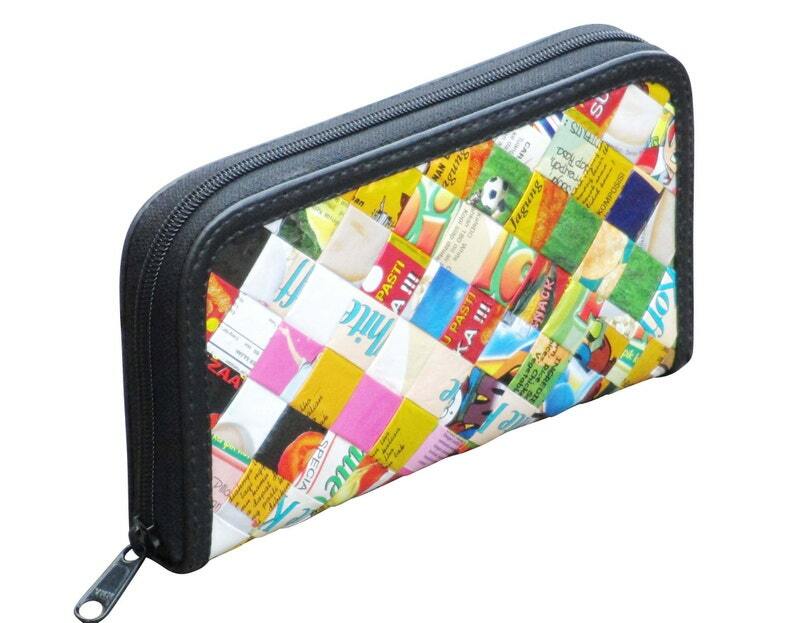 Medium size zip wallet made from candy and snack wrapper. Folded into strips and woven tightly. Own a shop? We have great wholesale deals! Contact us for details.